WhatsApp has reformed the communication channel among people. Not only has it made the process faster, it also has the features such as exchanging photos, videos and other attachments. Now the question comes, how to back up the WhatsApp data. Well, WhatsApp does provide the backup option-backup to iCloud. While using iCloud as a backup option is advantageous but it has its own limitations as Apple provides only 5GB free space for every user. Hence, the users looking forward to upload data which exceeds the size of 5GB must look for alternate options. This article gives you some of the best alternate methods to back up your WhatsApp data without having to use iCloud. It becomes important to backup WhatsApp data (chats, attachments or documents), in case of any physical damage or software malfunction that will cause data loss. However, many of us at times would want to backup only WhatsApp data without backing up the whole iPhone. Here comes the iMyFone iTransor, previously named iMyFone D-Port Pro, a flexible tool to selectively back up iPhone without having to go through the hassle of backing up the entire data of the iPhone. It is considered as the best iTunes alternative to backup iPhone free. Moreover, it does not affect any other information on the iPhone when only a particular set of data is to be backed up. It supports not just iPhone, but also iPad and iPod. Backing up iOS devices selectively or completely. 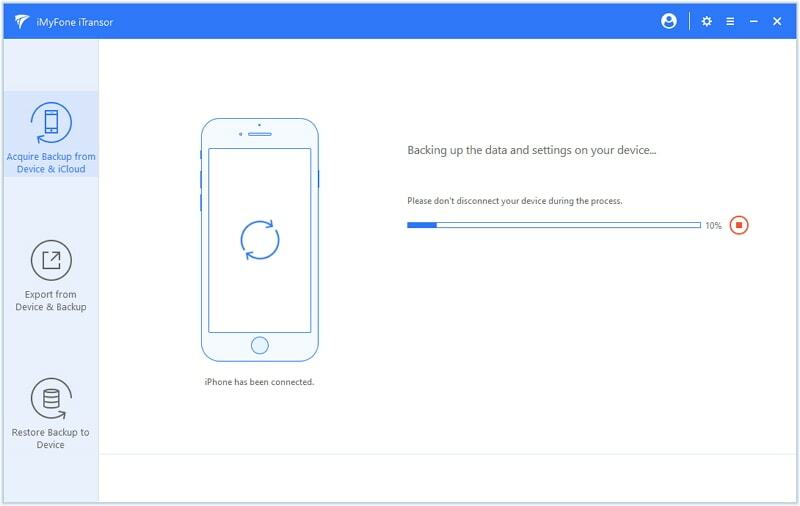 Previewing and retoring backups to either merge backup with iPhone data or replace iPhone data with backup. Restoring backups as a whole or selectively (Contacts, Messages, WhatsApp and WeChat), it's all up to you. Previewing and exporting your data from backups or directly from iOS devices. 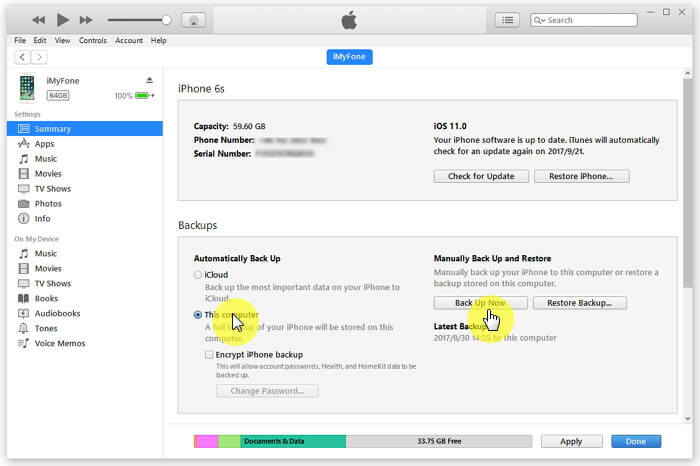 Step 1 – Run the program and click the Back Up Device option on the Acquire Backup from Device & iCloud tab. 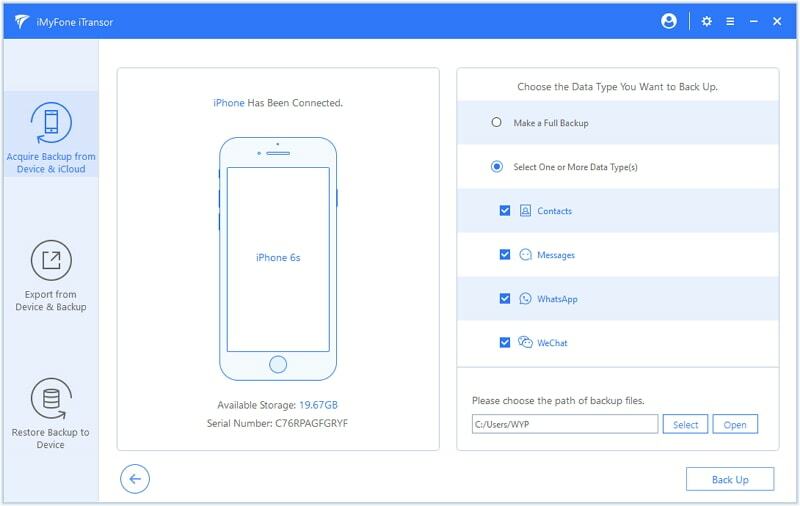 Step 2 – Then connect your device to the computer, choose the WhatsApp option on the right part of the next screen, select a location to save the backup, and click Back Up to start the process. Step 3 – You will come to the backing up screen right after you click Back Up. Just wait a while for the backup to complete. Step 4 – When the process ends, you will see the notification about the completion of the process on your screen. It is very simple. 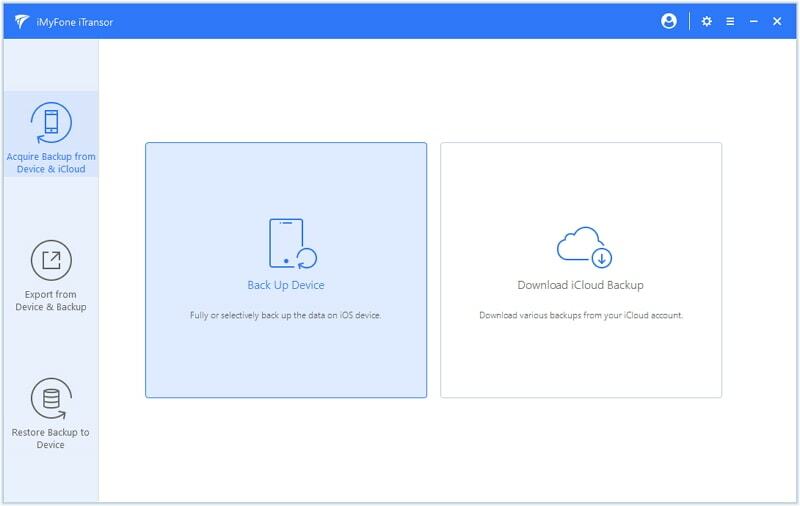 If you want to know how to restore an individual app from iTunes backup, please check this article; if you need to restore one app from iCloud backup, please read this post. Storing more than 5 GB of data on your iCloud account is certainly possible but then you have to pay for it monthly. Backing up your iPhone with iTunes is another alternative option. 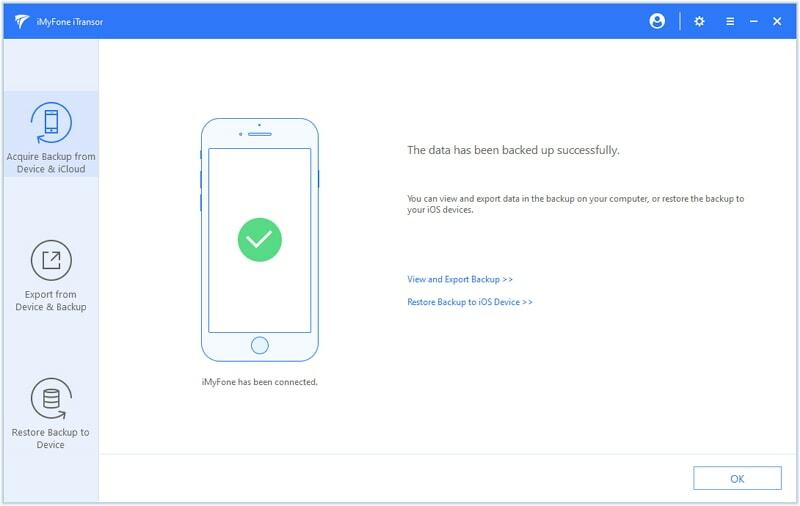 With iTunes, you can backup data from your iPhone/iPad/iPod to your computer but unlike iMyFone iTransor, it doesn't enable you to selectively perform the backup. You can simply backup all of your data by connecting your device and your computer using a USB cable. Step 1 - Connect your iPhone and computer using a genuine USB cable. Launch and open iTunes now. Step 2 - On the top bar an iPhone icon will appear. Click on that icon and then click on "Summary" tab from the sidebar. Step 3 – Next, you need to click on "Back Up Now" button on the Summary page and then confirm your actions. In a matter of few minutes, you have successfully backup iPhone WhatsApp without using iCloud. WhatsApp has the feature of emailing the chats to oneself or to anyone else if you wish to backup or share the WhatsApp chat history. But this method only allows you to view the chats without the ability to import them to your WhatsApp account. These following steps will explain you broadly about how to email your chats to an email address. Step1 – Launch and open WhatsApp on your device. Tap and open an individual chat or a group chat depending on which chat you want to email yourself. Step 2 – Now, tap on the "chat name" on the top of the screen and you can then see the contact information where you need to click on Export Chat'. Step 3 – It will then pop up two options, 'Attach Media' and 'Without Media'. Choose the one suitable to your need. Step 4 – On the next screen, it will then attach the complete chat history of the selected individual or group in the email. Type in your email address and hit 'Send'. Refresh your inbox and then you can view the chats in your email. That's about it, you've now known all 3 ways to back up iPhone WhatsApp without iCloud. All of them are free methods. Just choose the best one to start WhatsApp backup.